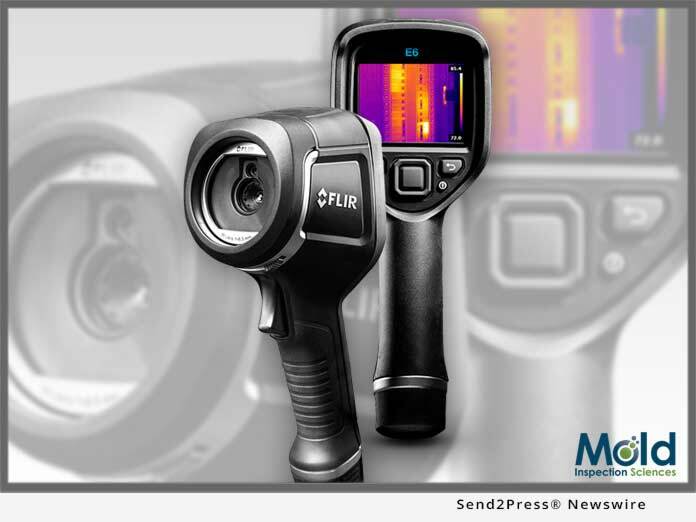 LOS ANGELES, Calif., Oct 18, 2018 (SEND2PRESS NEWSWIRE) — Mold Inspection Sciences (MIS) today announces the rollout of FLIR E6 Infrared Cameras across all Mold Inspection Sciences service areas through Southern California, Oregon and Colorado. The introduction of this advanced, non-invasive technology allows MIS field teams to zero in on and identify potential sources of moisture during testing and sampling investigations. “The FLIR E6 thermal camera is an important inspection tool for professionals, and we are pleased it was chosen by Mold Inspection Sciences,” said Richard Wexler, Director of Marketing at FLIR. “Using thermal imaging, Mold Inspection Sciences can help reveal problems that were once invisible. At the same time, the company’s technicians will be able to provide visual proof of the issues they find. Mold Inspection Sciences was founded in 2002 by President Michael Bains with one simple goal in mind: to provide affordable, professional, and high-quality mold inspection and testing services to people across Southern California, Oregon and Colorado suffering from the nuisance of mold. Over the past 15 years, MIS has successfully performed and solved thousands of investigations, providing safer and healthier conditions for a wide variety of clients to thrive in. Founded in 1978 and headquartered in Wilsonville, Oregon, FLIR Systems is a world-leading maker of sensor systems that enhance perception and heighten awareness, helping to save lives, improve productivity, and protect the environment. Through its nearly 3,500 employees, FLIR’s vision is to be “The World’s Sixth Sense” by leveraging thermal imaging and adjacent technologies to provide innovative, intelligent solutions for security and surveillance, environmental and condition monitoring, outdoor recreation, machine vision, navigation, and advanced threat detection. For more information, please visit https://www.flir.com/ and follow @flir.